News that Microsoft (MSFT) is engaged in a proxy campaign to undermine Google (GOOG) should come as no surprise to DailyFinance readers. Six months ago, we reported that Microsoft had held a series of "Screw Google" meetings in Washington, attended by top Microsoft lobbyists and consultants, to discredit the search giant. On Monday, The Wall Street Journal reported that Google says Microsoft is waging a global proxy campaign to cause trouble for Google with antitrust authorities around the world. As evidence, Google points to two European companies -- both with ties to the software giant in Redmond, Wash. -- that have filed complaints about Google with European antitrust authorities. "It's become clear that our competitors are scouring court dockets around the world looking for complaints against Google into which they can inject themselves, learn more about our business practices, and use that information to develop a broader antitrust complaint against us," a Google representative told the Journal. Microsoft, of course, denies the charge, but it's no secret that the company wants to undermine Google. "Microsoft is at the center of a group of companies who see Google as a threat to them in some combination of business and policy," a source familiar with the "Screw Google" meetings toldDailyFinance last fall. "The effort is designed make Google look like the big high-tech bad guy here." Microsoft denied that the meetings were meant to strategize on how to screw Google, saying instead that they addressed the Microsoft-Yahoo (YHOO) search deal -- a pact that regulators approved last month. "When you talk about the Microsoft/Yahoo deal, of course Google is going to come up," a Microsoft representative said at the time. But even as Microsoft denies involvement in recent antitrust complaints against Google, it's launched a broadside complaining about Google's practices. Last week, in a lengthy blog post, Microsoft said it was "concerned about Google business practices that tend to lock in publishers and advertisers and make it harder for Microsoft to gain search volume." Last fall, a knowledgeable source told DailyFinance, "Microsoft is trying to harm Google in the regulatory, legal, and litigation arenas, because they're having problems with Google in the competitive marketplace." In last week's blog post, Microsoft said it has met in recent months with antitrust regulators at the Justice Department and the European Union, and that officials had asked questions about Google. 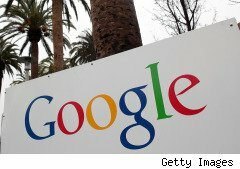 "We told them what we know about how Google is doing business," the entry said. "A lot of that entails explaining the search advertising business, which is complex. Some of that inevitably gets into Google practices that may be harming publishers, advertisers and competition in search and online advertising." Microsoft seems all too happy to have shared its thoughts on such matters. Of course, the irony of Microsoft complaining about Google on antitrust grounds is rich: This is a company that engaged in some the most egregiously anti-competitive business practices in the last two decades. Of course, it's not just Microsoft that's out to get Google. Rupert Murdoch's giant media conglomerate News Corp. (NWS) also has it out for the search titan, according to a profile in this week's New York magazine. And wouldn't you know that Microsoft and Murdoch are working together. In the piece, Gabriel Sherman reports that Murdoch hatched a scheme, code-named Project Alesia, to turn publishers against Google. For the past year, Murdoch and his lieutenants have described Google as a "parasite" for indexing News Corp.'s content without paying for it. They've even dropped hints that News Corp. could yank its content from Google, perhaps in favor of a pact with...Microsoft. Of course, none of this should come as a surprise to Google. When you're no. 1, you've always got a bullseye on your back.